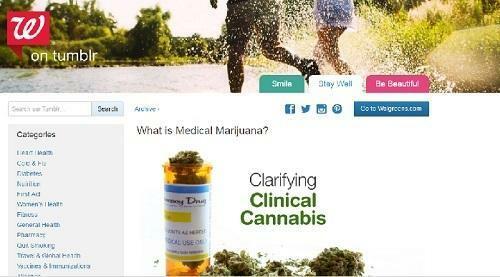 Walgreens, the largest drug retailing chain in the U.S. with more than 8,000 stores in all 50 states, is now tackling the subject of medical marijuana. Even though medical marijuana is legal in 24 states and recreational cannabis initiatives are gaining traction throughout the U.S., weed is still a touchy topic for most in the medical profession. Which is why Walgreens’ latest Tumblr post is so remarkable.